MASSIVE VOODOO: Seminar Roadmap for 2018 - UPDATE! As in the first half of this year, all seminars will be held in Augsburg, Germany. You will find further information in the PDFs that we will include soon and we will update the roadmap 2018 overview soonish, so that you can see all of this together in one place. Stay tuned. a great tabletop-hobby-adventure for mind and soul! 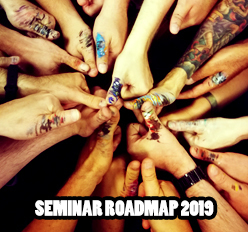 There are 0 Kommentare for Seminar Roadmap for 2018 - UPDATE!